It is Summer and I’m sure like many you must be busy cleaning up your grill, getting all ready for some good time with family or friends, at the park or on the beach, it doesn’t matter, we just need to BBQ. 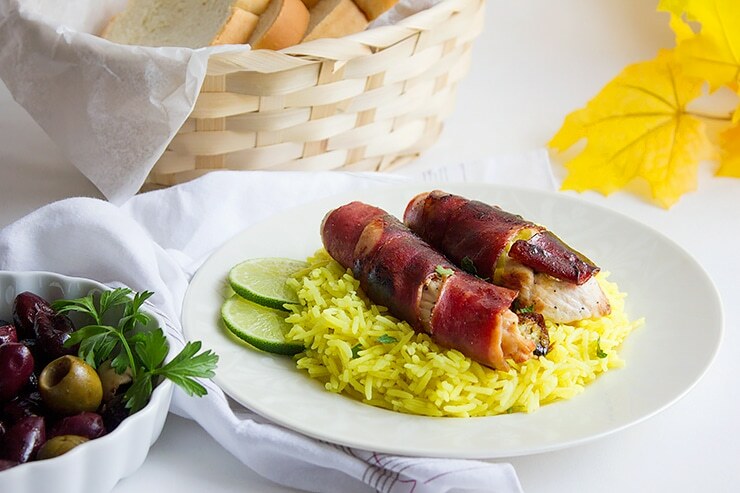 I have something for you that will for sure impress your family and it is my Bacon Wrapped Chicken Tenders, let me tell you that there is a surprise hiding in these wraps. Making Bacon Wrapped Chicken Tenders. I am beyond thrilled since today beside my recipe I want to introduce you to a new favorite of mine. 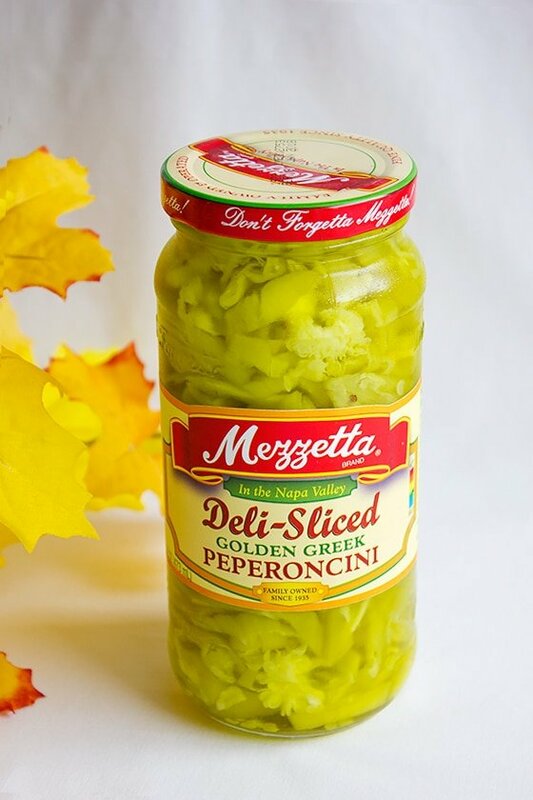 Mezzetta Golden Greek Peperoncini, I guess this summer will taste different, Mezzetta has a range of products. 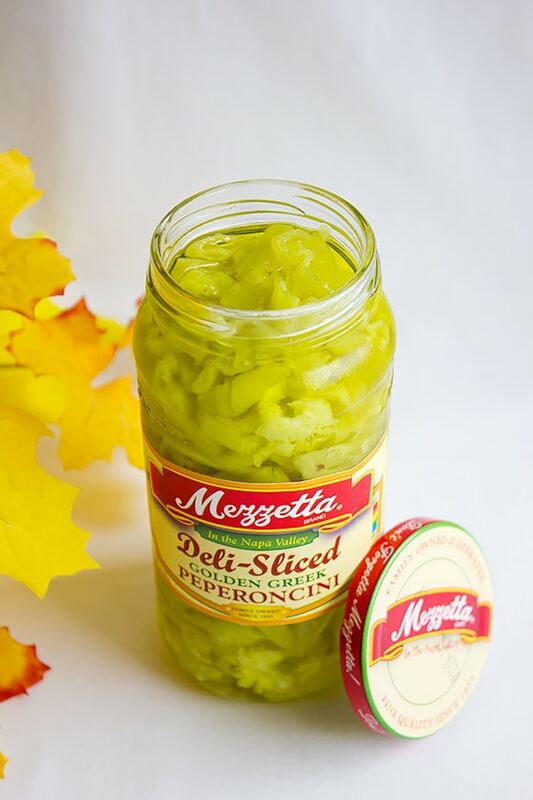 Mezzetta Peppers are the #1 jarred peppers in the U.S. and it has everything that can give your usual sandwich or wrap a whole new look and flavor. These Bacon Wrapped Chicken Tenders are so easy to make and are quick to make too, the only step that may take some time is the waiting for the chicken to marinate. But wrapping these chicken tenders is a breeze, oh and did I mention that chicken tenders will be topped with Mezzetta Golden Greek Peperoncini before getting all wrapped in bacon. 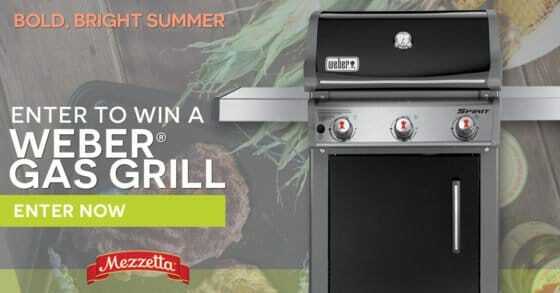 Of course, Mezzetta is also offering a great giveaway and you can enter this giveaway every day until July 15th, 2016. 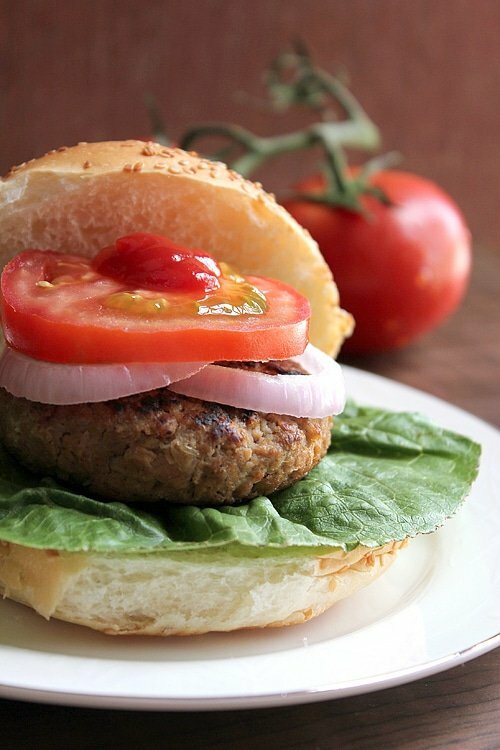 Mix marinade ingredients together, cover and refrigerate for one hour. 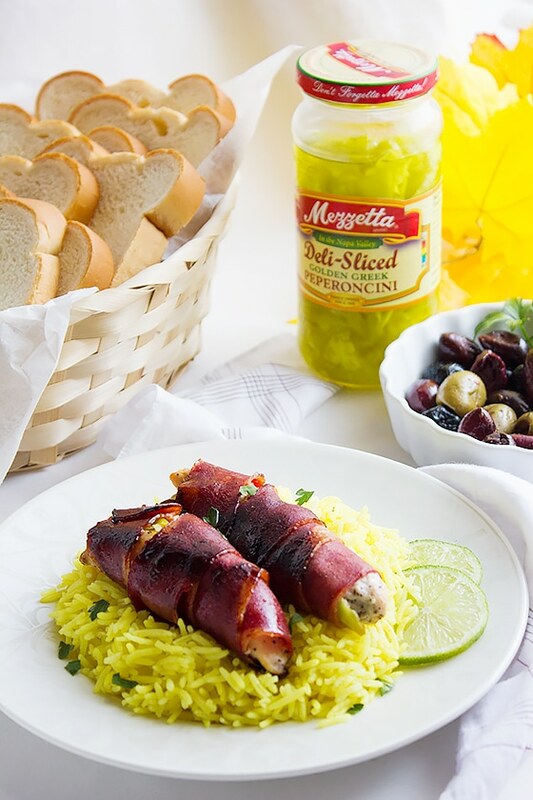 Place the bacon on a plate, place one chicken tender on the bacon, place few slices of Mezzetta Golden Greek Peperoncini over it. Wrap the bacon around the chicken tender and keep aside. Do this step with the remaining chicken tenders. Heat a grilling pan, when hot add a dash of oil. Place the wrapped chicken tenders and grill for 3 minutes on each side. 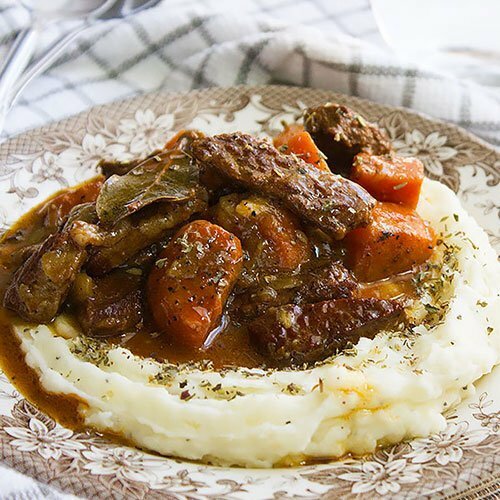 Serve with your favorite dip or on rice. In a pan, add the water, when it comes to a boil add all the ingredients and stir well. Let the rice cook for 14 minutes. Drain well and serve hot. 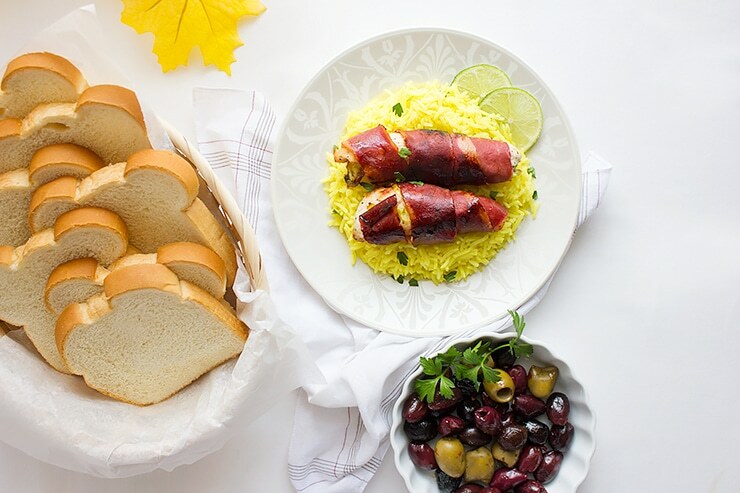 So very delicious…both rice and turkey bacon wrapped chicken tenders…absolutely mouthwatering! It’s BBQ time and one has to be creative 🙂 … Thanks Angie! 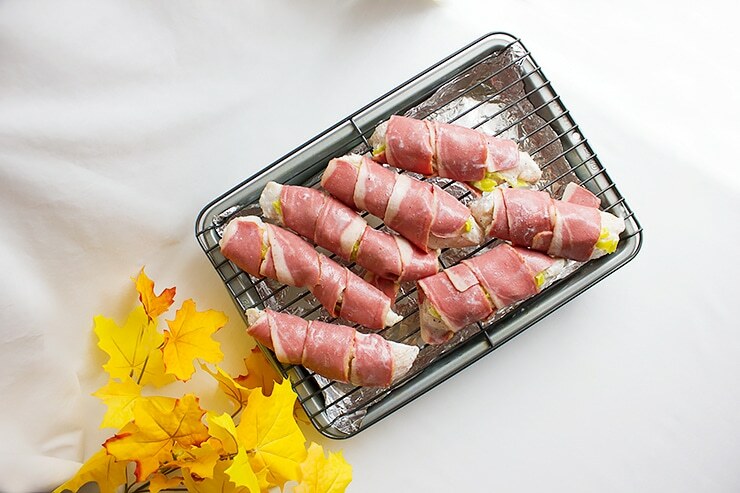 Anything wrapped in bacon sounds amazing to me! 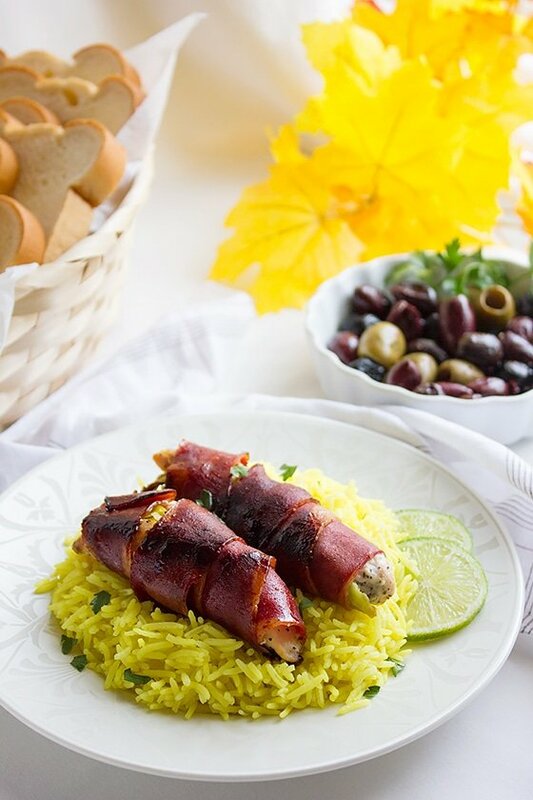 Looks like summer will be fun with these gorgeous bacon wrapped chicken tenders! Thanks Rahul, it is so easy to make and tastes delicious! This sounds delicious. I recently discovered duck bacon, which is 10x better than turkey bacon in my opinion, so I’ll have to try substituting the bacon for duck bacon. Fun recipe–thanks for sharing! 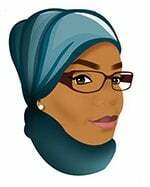 This looks amazing, Muna. I love the delicious combo on your plate.